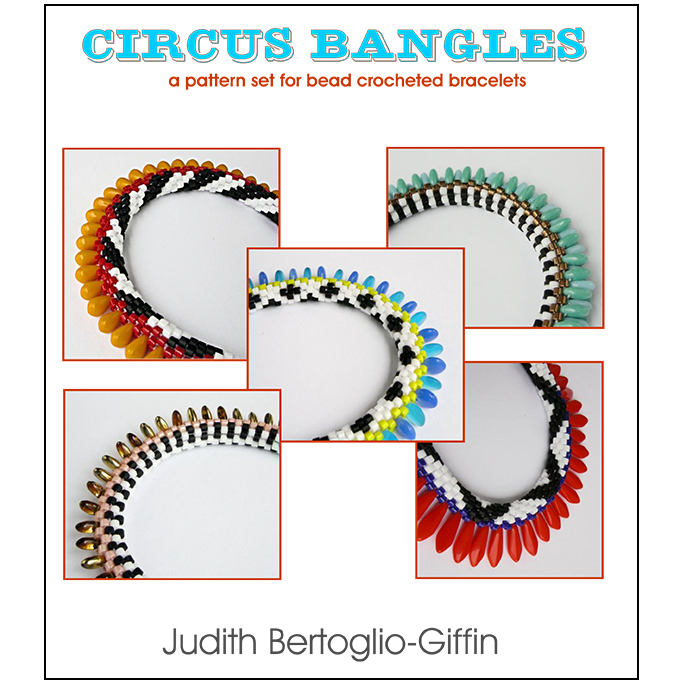 This pattern set is for 6 bead crocheted bangle bracelets. It originated with an online, Circus themed String-Along. The author used vintage Circus keepsakes and other images as inspiration.